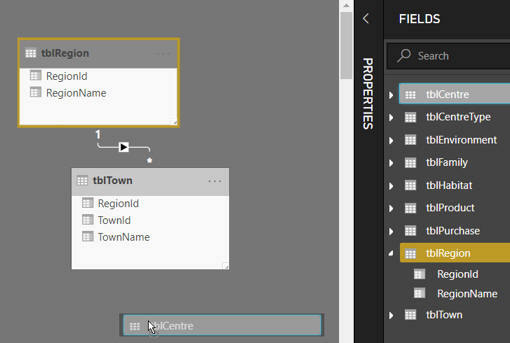 You can create different database layouts - no longer do you have to fit everything into one screen! Initially the diagram is hard to read - there are just too many tables. Click on the + button to add a new layout. 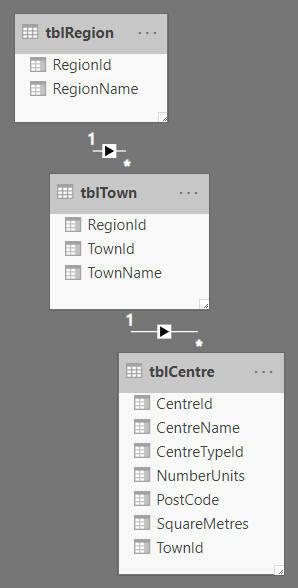 Here I've dragged the tblRegion and tblTown tables onto my layout, and am in the middle of adding the tblCentre table. This layout only includes 3 tables. 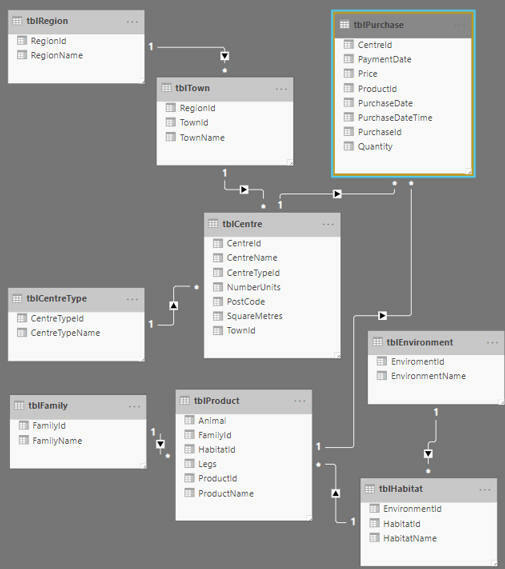 You can thus create multiple layouts, each focusing on a different aspect of your database, making everything much easier to decipher!